Friends for Asia’s Woman Empowerment Project is ideal for anyone who wants to make a real difference to the lives of women in this beautiful but impoverished country. Years of political uncertainty and insurgency have seen Nepal fall behind many of its neighbors when it comes to human rights. An uneasy peace now exists, but little has been done at government level to help the women of Nepal. This is where Friends for Asia comes in. Our volunteers work with disadvantaged women in a number of centers to educate, assist and help them lead their lives with dignity in a male-dominated society. Our Woman Empowerment Project allows our Nepal volunteers to really get to the heart of Nepal life. Volunteers will work closely with disadvantaged women to educate them and give them a new perspective on life. This can be done throughout the day through basic interaction and activities. Volunteers will also schedule classes in subjects that help the women help themselves, such as English, computer skills, office skills and other skills that will aid them in the path to employment or further education. Our Woman Empowerment Project is a practical, hands-on experience for our Nepal volunteers. Because volunteers are working with the most disadvantaged women in Nepal society it can be challenging, but ultimately this is an extremely rewarding project. The ability to communicate and empathize with the women is a strong plus. Teaching skills are also a big advantage. Much time is devoted to informing the women about women’s issues such as gender equality, while more practical subjects include computer literacy and income generation. The plight of women in Nepal has been under the spotlight for a number of years now. Human rights agencies have struggled to make any real inroads and the government has done little to protect their rights. 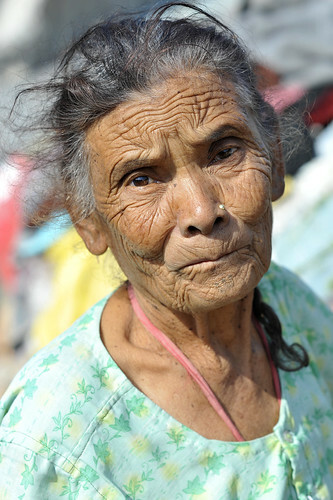 We believe our Nepal volunteers make a very real difference in improving the lives of these women. Through education, interaction and encouragement, the Woman Empowerment Project gives them back their dignity and the chance of a better future. Volunteers must be at least 18 years old to participate in our Woman Empowerment Project. Other than that there are no restrictions or requirements. Bring enthusiasm, dedication, an open mind and a smile, and we’re sure you’ll enrich the lives of Nepal’s disadvantaged women. Participation in the Women’s Empowerment Volunteer Project starts at $750 for two weeks. Each additional week is $80. Airport pick up and drop off, accommodation during orientation and entire project time, 2 day orientation, 10 hours of basic Nepalese language lessons, all meals during project placement, 24/7 assistance support. Plane tickets, travel insurance, cost of transportation to and from work location.